The Budget has delivered a boost to the resources industry with $100 million provided to Geoscience Australia for mapping mineral, energy and groundwater potential in the country. The $100m Exploring for the Future programme will produce pre-competitive geoscience data, to be released on an annual basis over the next four years. Geoscience Australia estimates that around 80 per cent of Australia remains under-explored, in particular, areas in the Northern Territory, Queensland, Western Australia, and South Australia, which will be the focus of this initiative. Minister for Resources, Energy and Northern Australia Josh Frydenberg said the funding will improve Australia’s long term exploration prospects and help address declining new onshore exploration. “The benefits for doing so are clear. In 1996, Geoscience Australia undertook $3 million of analysis in the Browse Basin. This helped identify the Ichthys field, which will produce more than $70 billion in export earnings over the next forty years,” Mr Frydenberg said. “Further, data compiled across South Australia in the 1960s, costing around $350,000, helped identify the resource potential of the Olympic Dam and ultimately to the discovery of ore more than 300 metres underground. This funding is on top of the $1.1 billion of initiatives outlined in the Government’s National Innovation and Science Agenda. Minerals Council of Australia chief executive Brendan Pearson said the Turnbull Government has made a “critical investment” in the industry. “Australia ranks second in the world at converting exploration into minerals discoveries,” Mr Pearson said. “A key driver for the next phase of Australia’s exploration effort is the fact that 80 per cent of the continent, covered by rocks and sediment, remains largely unexplored. 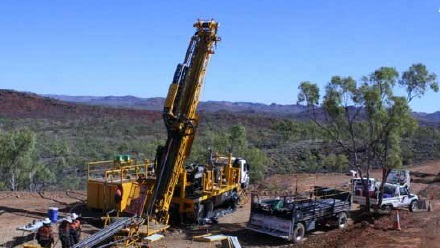 The Government’s investment will allow Geoscience Australia to undertake geological mapping of mineral deposits both near the surface and to depths down hundreds of metres. “This will propel a step-change in knowledge and technology, which will facilitate exploration by private companies in areas that have historically been difficult to explore.